Affise is a performance marketing software for creating and managing mobile/desktop advertising network. It provides advertisers, agencies, and networks with a customizable product to manage their direct publisher relations. Nothing to dislike just that most times is takes time to setup an API. Affise is best for Affiliate promoting as it gives precise details of live battles. Affise support dependably remains prepared to help if any issue went over. Gives API joining which to have better outcomes. On the off chance that you need brilliant and simple begin, or you are a starter who needs the platfom to impart their mastery to you, Try it today and you won't lament, I am certain! With Affise we can settle on choices cleverly because of cost forecast, profound investigation, savvy ready framework. What's more, with the likelihood of BI instruments association, the examination is only easy. We have expanded our benefits and RoI, improved the procedures of basic leadership, completed a few custom API advancements to build profitability. Presently our execution is path better than anyone might have expected as Affise causes us to such an extent! We diminished expenses and spared a great deal of time! We use dashboard ordinarily to screen the execution of our business and CPAPI to robotize the execution. "Affise inspires to reach much more"
It seems that Affise was created to inspire and make others aim higher. All the fearutes and tools that Affise has are waiting to be used. Analytics panel is very convenient in it's possibility of customise it any way that you can only imagine! In addition to great technical part, Affise has a great support that is ready to answer any questions 24/7: even when I call them at late night (or early morning) they help me out with the highest level of expertise and politeness. What makes Affise perfect is its flexible and profitable commitment terms and features for growth. With Affise we know that we can not only aim higher, but also achieve our aims and even overdo them. We are able to improve our business processes, cut down the time on documentation, billing and work with offers. In addition, we are able to keep good relationships with advertisers due to great fraud protection tools. What Other Digital Advertising solution do you use? "Affise is the platform that knows what you need"
Being a small company, we got lucky to be Affise customers. Our onboarding manager helped us to set everything up, import the existing profiles of advertisers and affiliates we had, showed us a great demo and gave training calls. Thanks to Affise and its customer-oriented approach, we are able to develop our network and aim even higher. If you need smart and easy start, or you are a starter who needs the platfom to share their expertise with you, Affise is what you need. "Best Affiliate Marketing Tool to analyze campaign in real time "
Affise makes online advertising campaigns more effective by showing and stats in the real time. The best tool for increasing affiliate marketing sales as platforms offers. Affise offer AI based online campaign stats which helped in increasing ROI. Affise controls budget and also help in targeting online buyers. Best Place for Affiliate Marketers. Its been a long time and could not find any issue to highlight. Affise is best for Affiliate marketing as it provides accurate stats of live campaigns. Affise support always stays ready to help if any problem came across. Provides API integration which to have better results. Affise offers the best tracking system to the affiliate marketers as they can see the progress in the real-time, Live campaigns can also be optimized to gain more sales and leads. "Affise is full of possibilities and care about their customers"
"Affise is a great solution for those who value their business"
I love that Affise platform allows great costomization options, as well as the features that automate a lot of processes. It is also very cost-effective due to it's payment model that includes payment for conversions only. Finally we are amazed at how many features and technologies available in the Affise Marketplace that allow to enhance the standard business processes a lot! I love everything. The platform is very comfortable and neat and goodlooking. And the support of the platform is awesome! Try it today and you will not regret, I am sure! Now our performance is way better than before as Affise helps us so much! We decreased costs and saved a lot of time! We use dashboard everyday to monitor the performance of our business and CPAPI to automate the performance. And these are not the only problems we solve. You need to try it to understand how AWESOME Affise is! "Solid solution for big businesses"
Affise is a reliable and stable platform full of features. Being a very effective and universal instrument it allows to work with different business models, combine tools to monetise any type of traffic (including the remnant one), get rid of paper routine. Being a pretty big company we have a need of precise and real-time statistics to base our decisions on. Affise provides it together with analytics and visualisation tools, and Business Intelligence integration. We haven't found points that we dislike. "The greatest instrument for affiliate marketing"
We love that Affise is a universal platform for affiliate marketing that gives us all we need. Smart decision making allows us to multiply our revenues, making Affise the core of our business. "Best solution for all app agencies!" Affise is a great company, they are super efficient, inventive, helpful, professional and with a fair price (unlike other companies that give nothing but demand A LOT of money). Affise gave me the option of API connection, by doing this my business have grown very fast. Cost-effective, doesn't charge for clicks, but for conversions. Marketplace is my favourive feature. And also great support! By now, I use all possible features. And I'm looking forward to even more, as all of them are very useful! For em as for affiliate manager is not so quickly to change everything in Offer not in Affiliate card as I used to do in Cake for example. I love the user interface. It allows me to work the way I want to work. The options are clear and there is not a-lot of extra to distract you. I like the level of information in provides. It could be prettier. I also believe that it isnt as fun to use as it could be. I think that it could have a few more features in the 299 price point. I needed a way to track my conversions and I was able to do that. I so really needed support and they offered support 24/7. The best feature we like is the CPAPI which really help us getting offers from all our partners in just few clicks. Sometime the response from the team is slow. It would better to have a Skype chat for support. Manual offer creation, affiliate on-boarding were the problems we were facing. Affise is a great platform to manage offers and affiliates in few clicks. 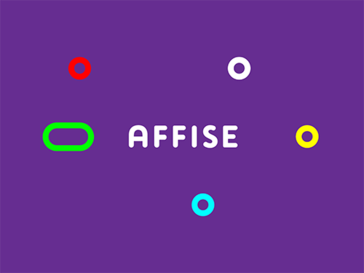 "Affise is very easy to use and is so awesome"
It is one of the best programs to carry out control of your advertising campaigns, its platform allows you to create and manage your network in the best possible way. When you making a campaigns, Affise greatly improved th time to complete the required campaigns. The software is very flexible and stable. It has pretty much everything a network may need to run a business. Been using it for almost a year and so far didn't have any issues. We are using it as our main tracking solution. It has great features, full API support and live reports. "Affise, the place to be"
As a private network, we need the best up times. * We monitor all Affise reviews to prevent fraudulent reviews and keep review quality high. We do not post reviews by company employees or direct competitors. Validated reviews require the user to submit a screenshot of the product containing their user ID, in order to verify a user is an actual user of the product. Hi there! Are you looking to implement a solution like Affise?